For its 110th anniversary, Bugatti has created a jet black rocket it hails as the most expensive car of all time. It wouldn’t look out of place as Star Wars villain Darth Vader’s preferred mode of transport. 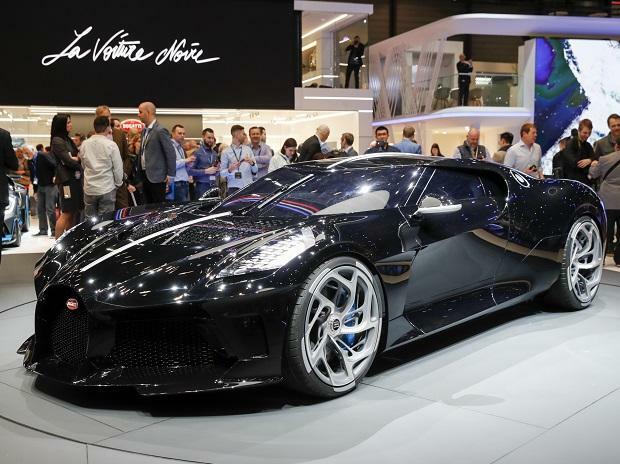 “La Voiture Noire” is priced at 11 million euros ($12.5 million), which would buy about 300 Tesla Model 3s. The one-time vehicle has already been sold and speculation points to former VW Chief Executive Officer and Chairman Ferdinand Piech as the new owner. Piech was known for his tough leadership style before quitting the brand’s parent Volkswagen AG in acrimony in April 2015. While there’s no mention of Piech in Bugatti’s statement, describing the new owner only as an “enthusiast” for the brand, it was Piech who signed off on some of Bugatti’s outrageous development costs. There is -- intended or not -- a hint of Darth Vader providing some inspiration: “The windscreen seems to flow seamlessly into the windows at the sides like the visor on a helmet,” Bugatti said. Bugatti’s ultra-wealthy customers appreciated the brand’s expertise in turning out cars to their exacting specifications, said Bugatti design director Achim Anscheidt. “Our customers really appreciate this, as they know this from purchasing other luxury goods like a yacht,” he said. The 16-cylinder engine has six tailpipes and La Voiture Noire’s extravagant specs highlight the balancing act VW is pulling off across its 12-brand empire. CEO Herbert Diess, in charge since April, has sought to accelerate an overhaul to make the company more agile and rein in spending. The company says the car is “far more than a modern interpretation” of Jean Bugatti’s Type 57 SC Atlantic, an industry icon coveted by classic-car aficionados and the most famous work of the son of the company’s founder, Ettore Bugatti.